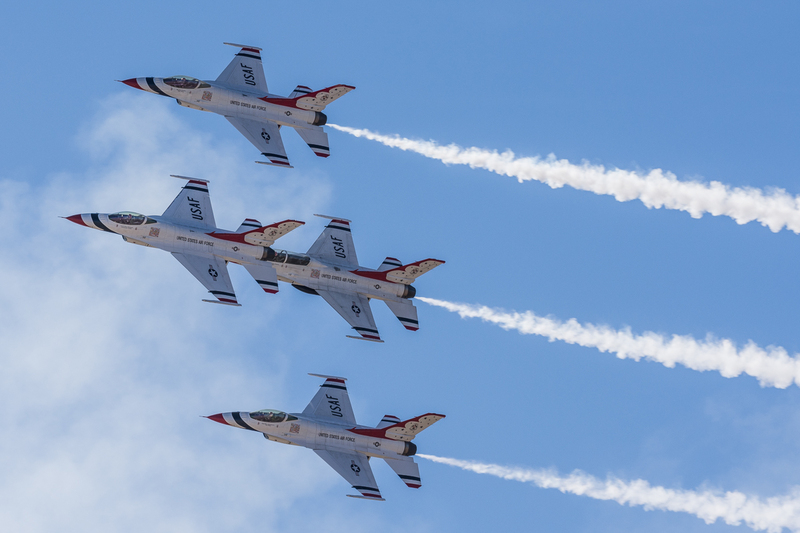 With the warm weather signifying the coming of spring in many of the Sunbelt states of the U.S., this same weather also marks the beginning of the air show season around the world. 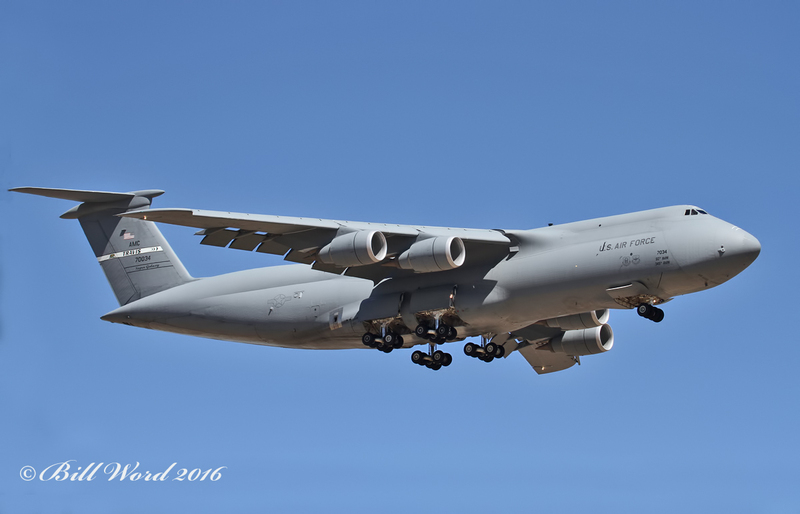 Tucson, Arizona, home to Davis-Monthan Air Force Base, often has mild 70-degree temperatures this time of year, with very little rainfall. 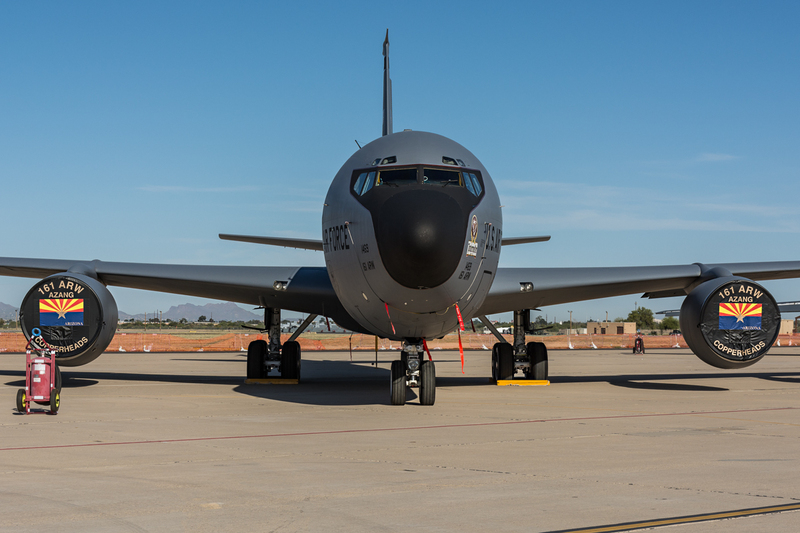 This ideal aviation weather helps attract squadrons from around the U.S. to train at Davis-Monthan AFB under the Total Force Training program, formerly known as Operation Snowbird. 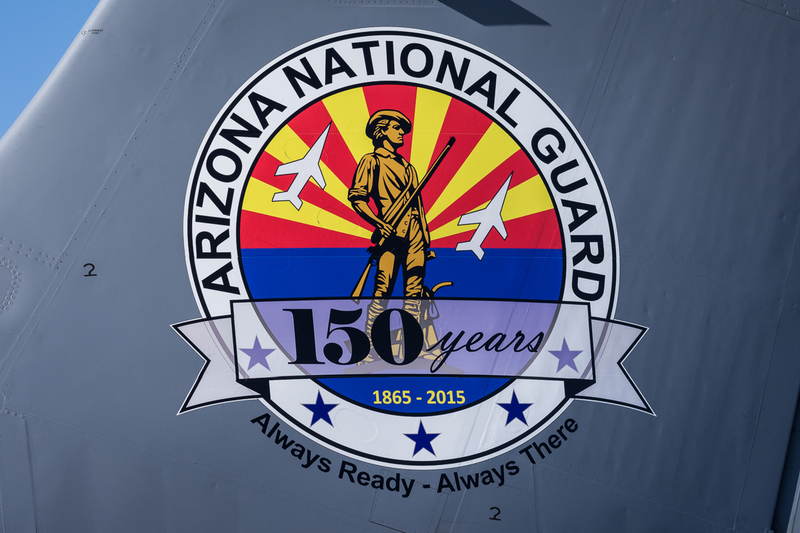 Davis-Monthan AFB began in 1925 as Davis-Monthan Landing Field, which evolved into Davis-Monthan Airport and later became Tucson Army Air Field in 1940. 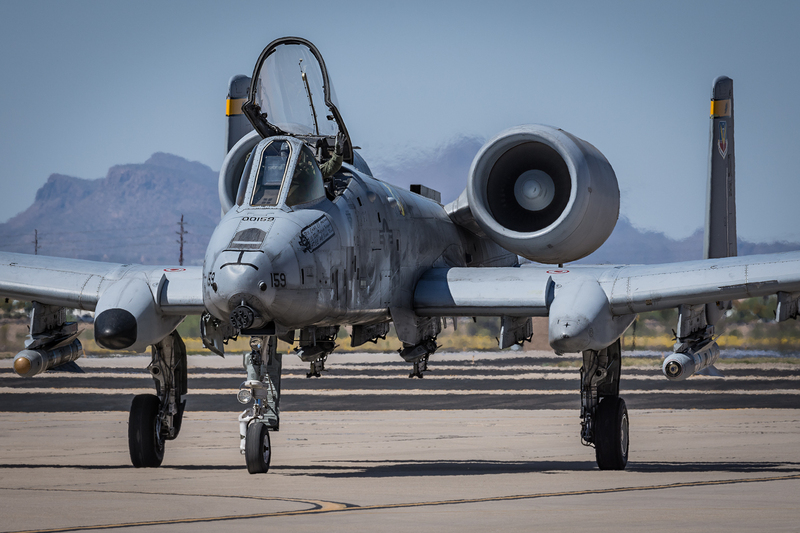 During WWII, when its military use became significant, the base became Davis-Monthan Army Air Field and was used by bomber groups for training and observation missions. 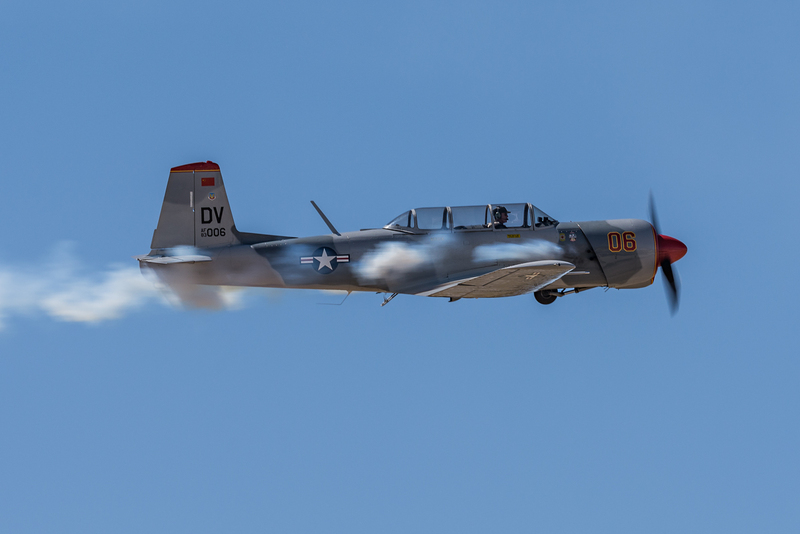 During this time the Douglas B-18 Bolo, Consolidated B-24 Liberator and Boeing B-29 Superfortress bombers were seen flying in the skies of Tucson. 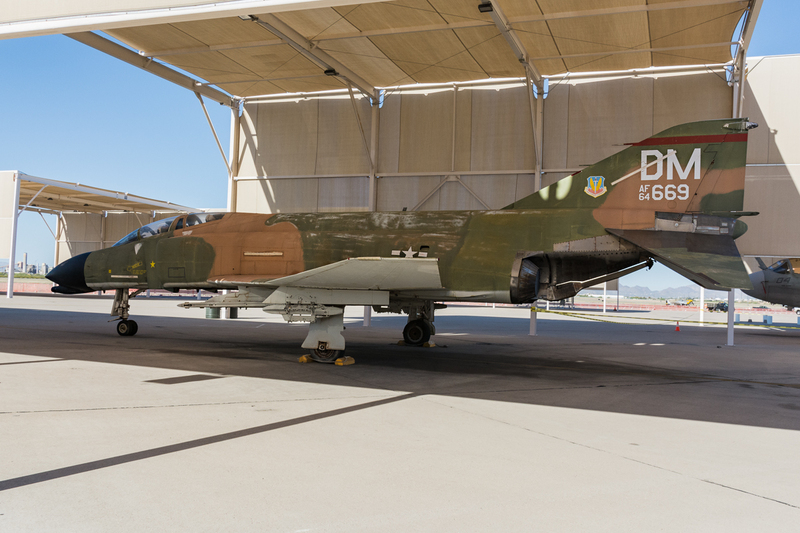 In 1948, at the onset of the Cold-War, Davis-Monthan Army Air field became, what is known today as: Davis–Monthan Air Force Base and is now the headquarters of the Twelfth Air Force (12 AF; Air Forces Southern, AFSOUTH) of the USAF’s Air Combat Command (ACC). 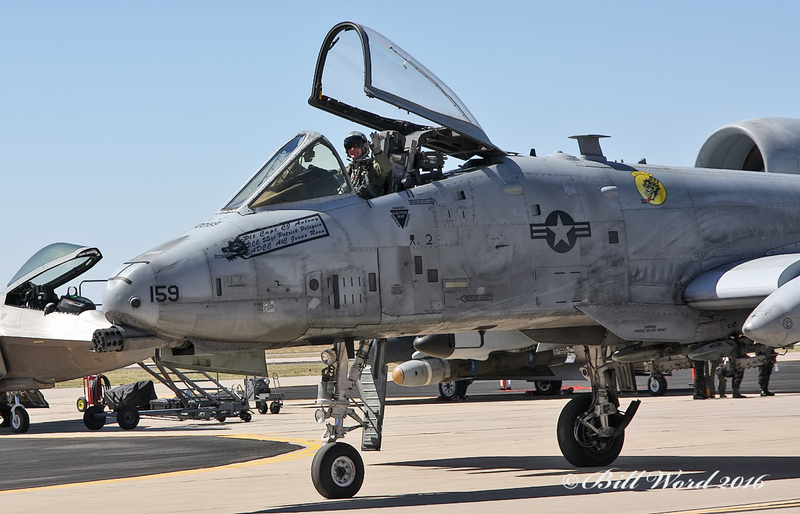 Today, in addition to being known as the host base for 309 AMARG, Davis-Monthan has been known for training world-class pilots on the Fairchild Republic A-10 Thunderbolt II “Warthog.” In a broader perspective, Davis-Monthan AFB today is synonymous with one of the most important roles in combat…Combat Search and Rescue (CSAR). 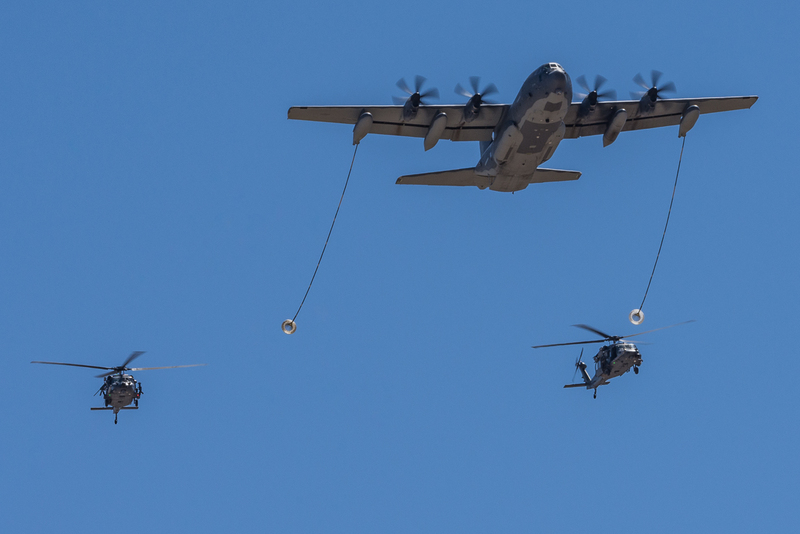 With the 563d Rescue Group, 943rd Rescue Group and 55th Electronic Combat Group all calling Davis-Monthan home, flying aircraft such as the Lockheed Martin HC-130J Combat King II, Sikorsky HH-60G Pave Hawk and the Lockheed EC-130H Compass Call, all which play an important role in CSAR missions. 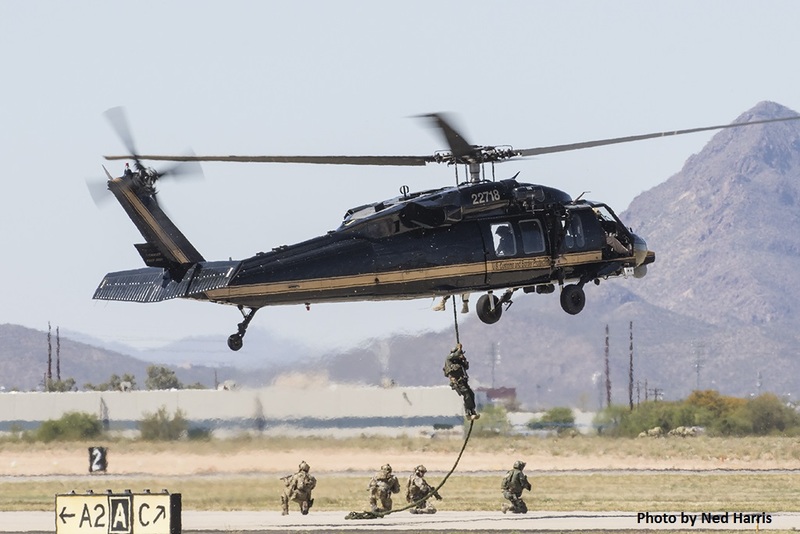 Davis-Monthan AFB is also the host of the world’s largest CSAR training exercise: Angel Thunder every year. 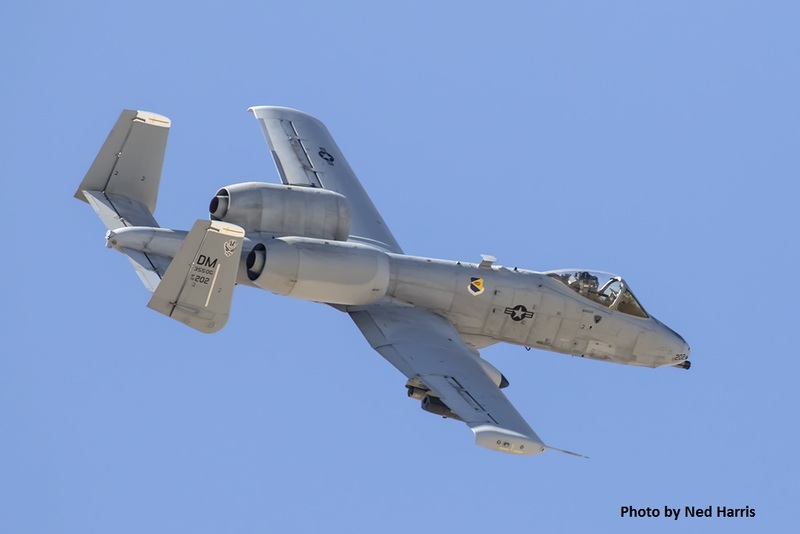 In an effort to show the local community what the base is all about, Davis-Monthan hosts a biennial open house entitled: Thunder and Lightning over Arizona. 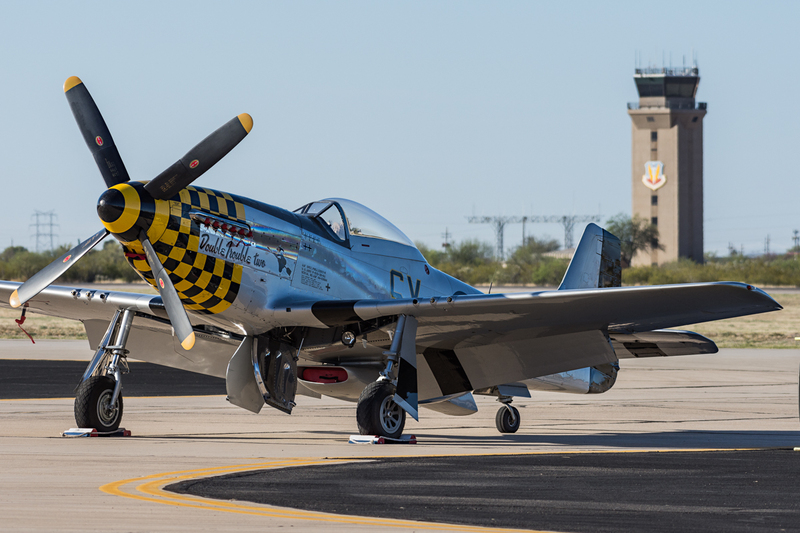 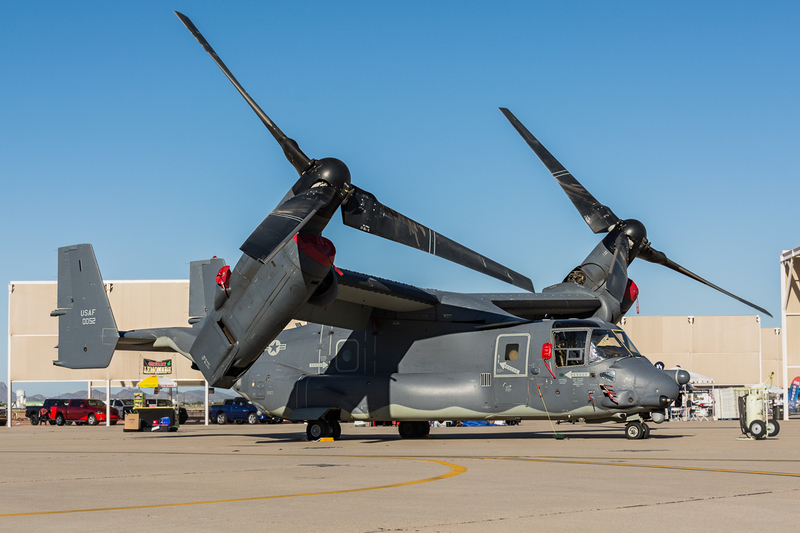 Thousands of people from Tucson area, around Arizona, even around the world, are invited on base to enjoy military and civilian aerial shows, static aircraft displays, a variety of food and drink options and other forms of entertainment. 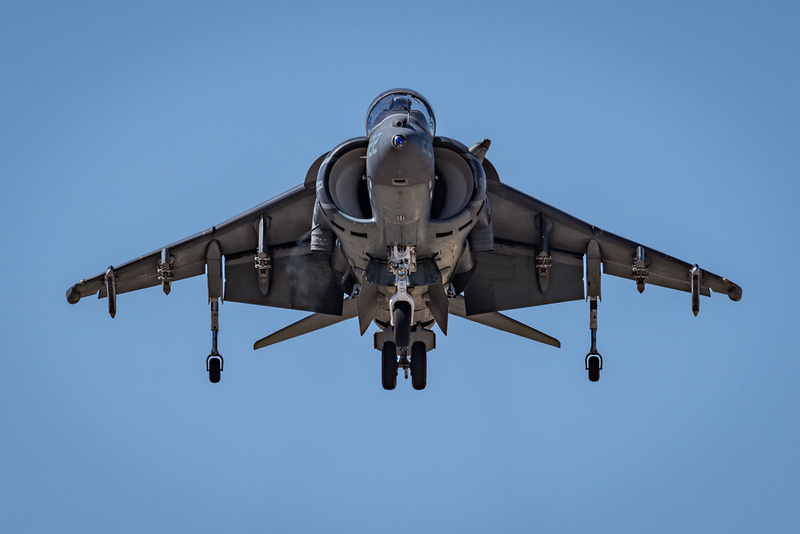 The Harrier is a marvel of British engineering. 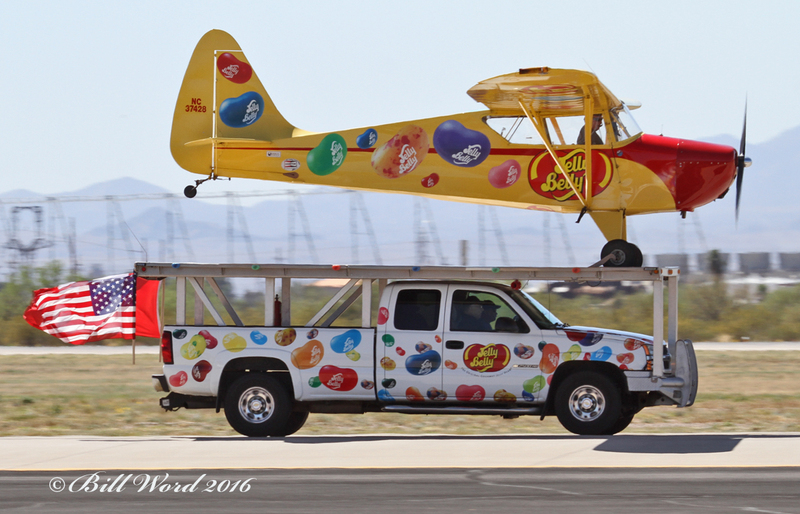 An airplane with the ability make a short takeoff and land vertically much like a helicopter. 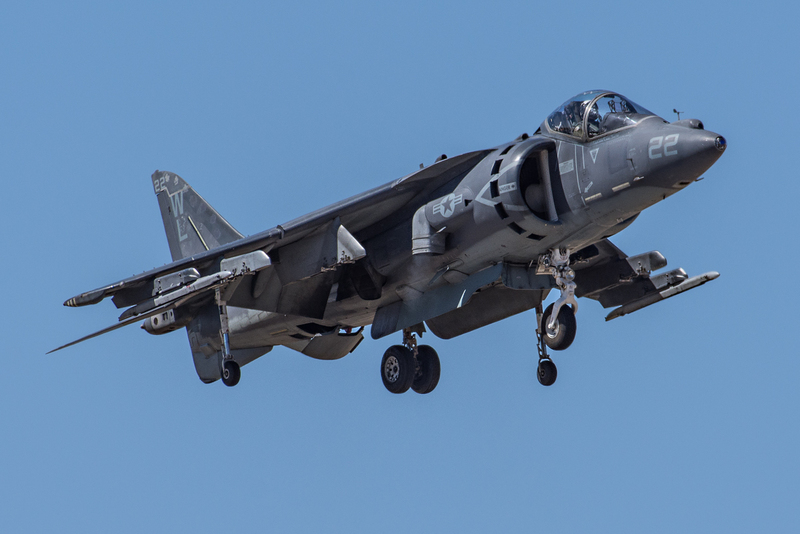 Based on the Hawker-Siddley Kestrel designed in the late-50’s, the current Harrier flown by the USMC was a joint venture with McDonnell Douglas (now Boeing), British Aerospace (now BAE Systems) and Rolls-Royce. 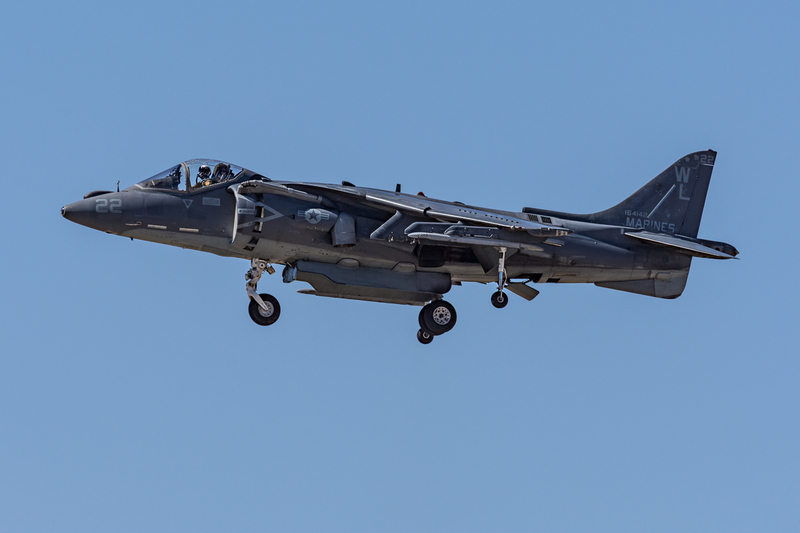 Powered by a single Rolls Royce Pegasus F402-RR-406/408A turbofan engine that provides over 20,000 pounds of thrust, the Harrier is an attack aircraft that specializes in close air support (CAS). 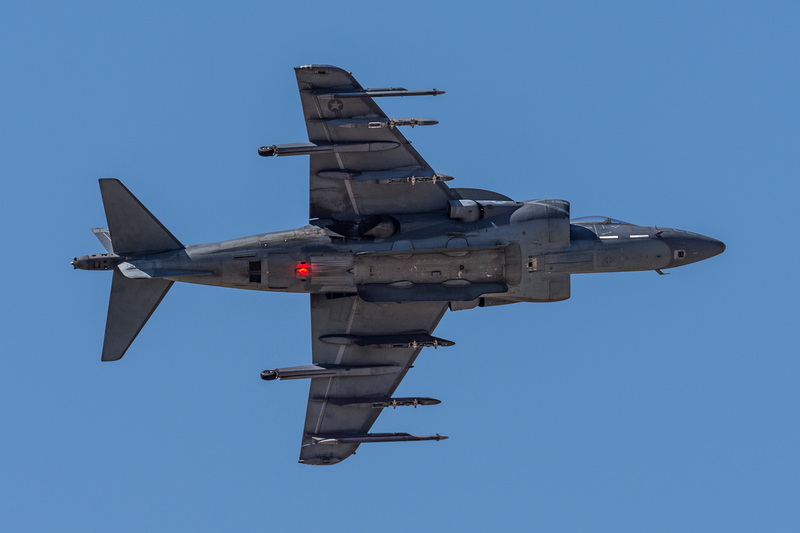 Production of the Harrier ended in 2003, but today’s version is a result of many upgrades since then. 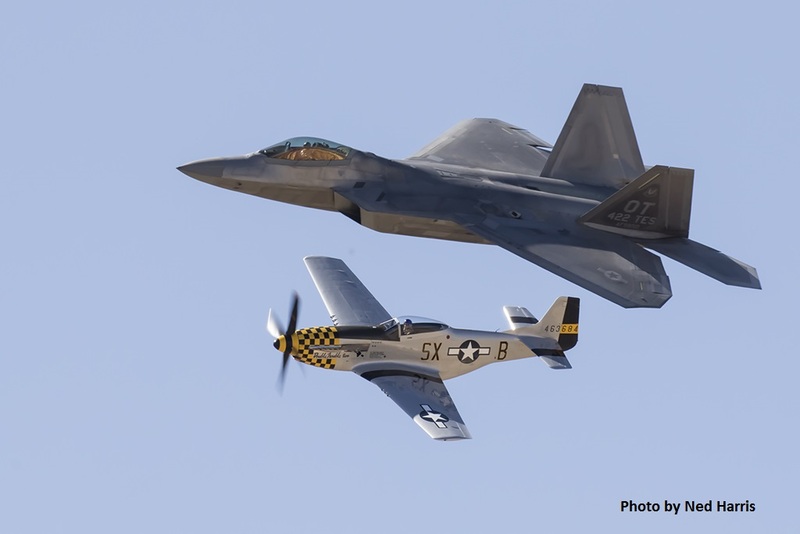 The USMC is beginning to replace the Harrier with the Lockheed Martin F-35B Lightning II. 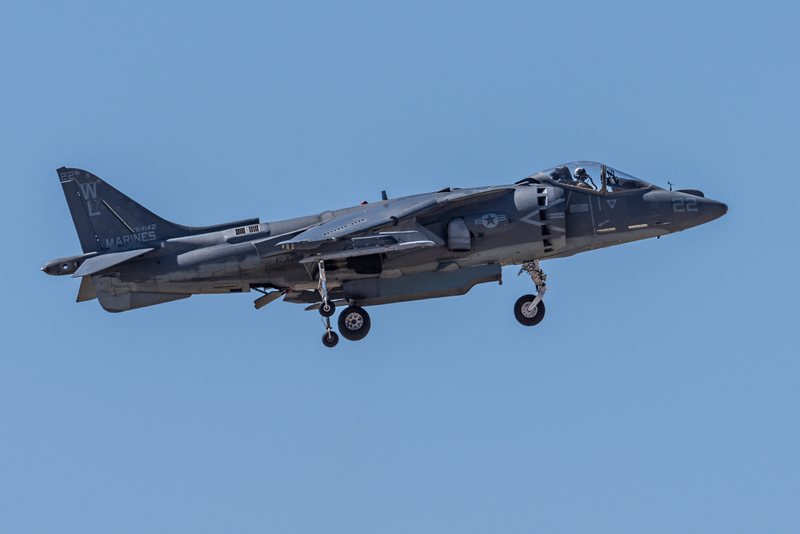 Flying the Harrier are some of the most skilled pilots in the USMC. 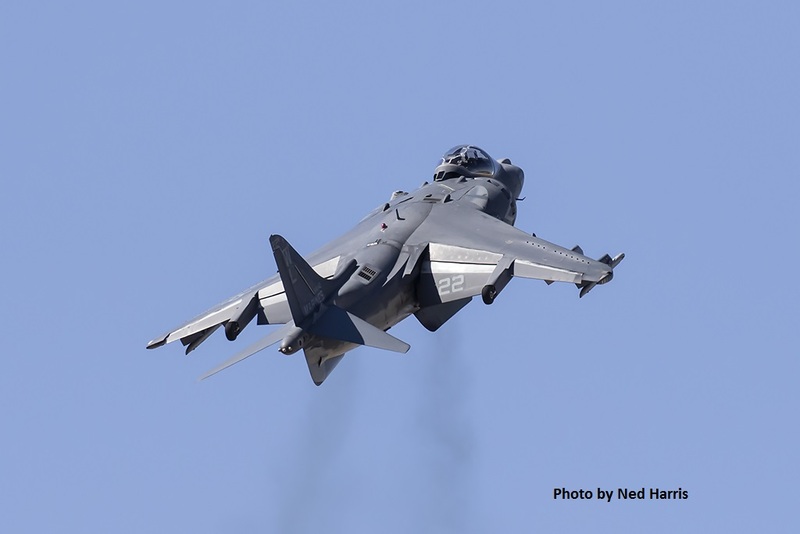 Because of the Harriers unique capabilities, flying the Harrier can be challenging. 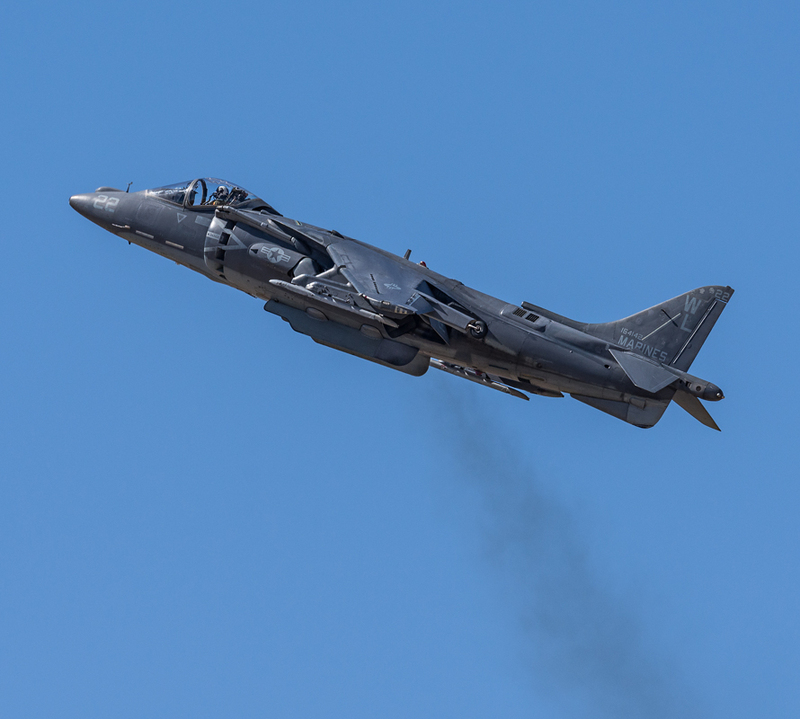 The Harrier demo at Thunder & Lightning over Arizona 2016 showed the crowd some of the Harrier’s capabilities including its ability to hover like a helicopter, land vertically and utilize a short/vertical takeoff. 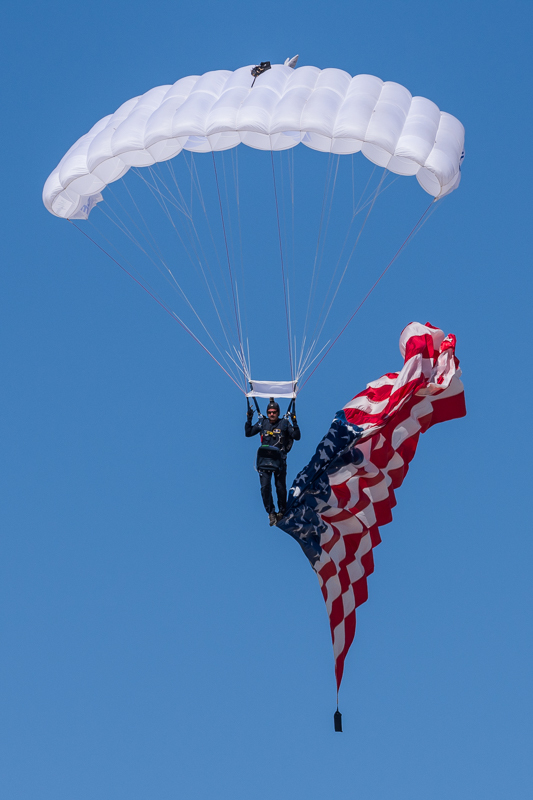 One of the more exciting aspects of military air shows is the “house demo,” the military demo that displays the specialty of the base. 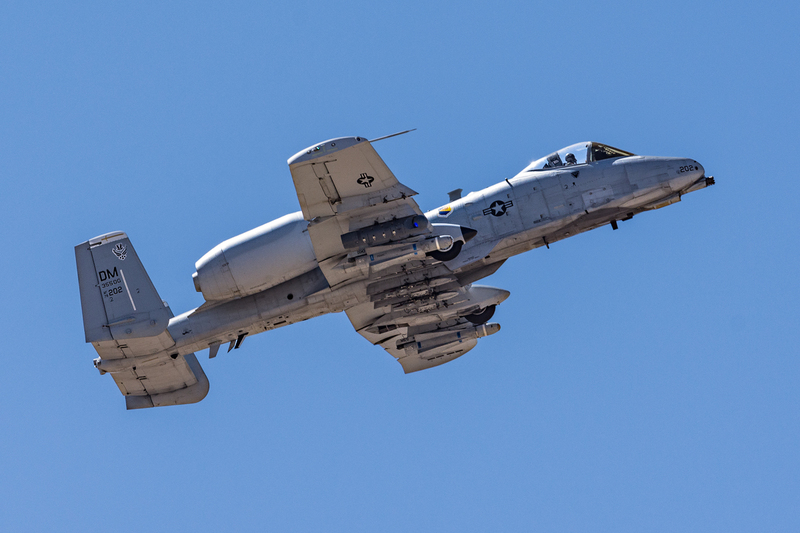 It makes sense that Davis-Monthan’s house demo would be the CSAR demo. 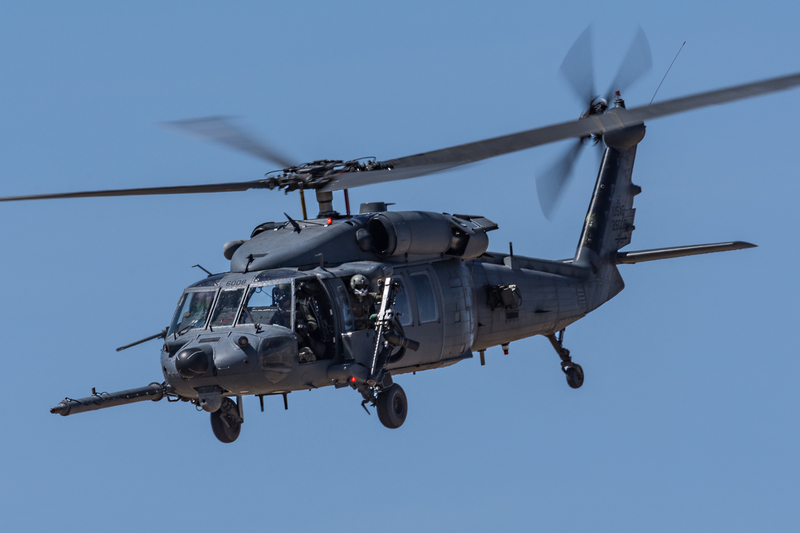 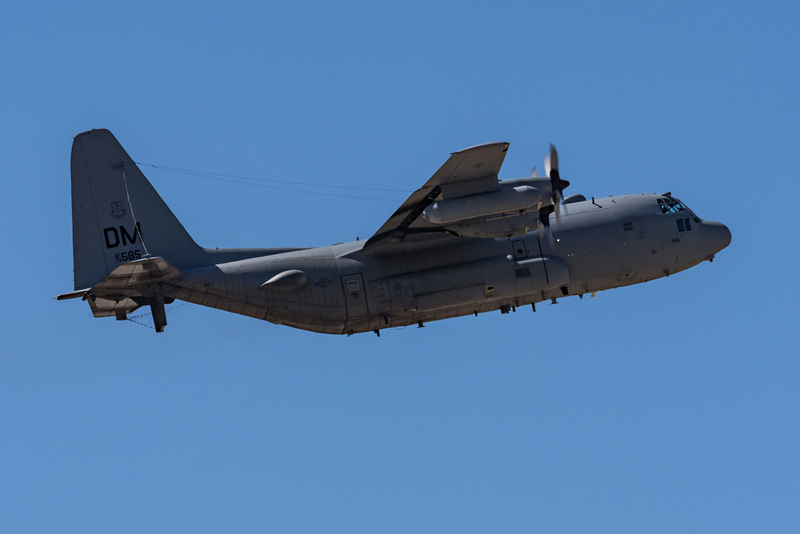 Using assets that are based at Davis-Monthan, the Lockheed Martin C-130J Combat King II, the Lockheed EC-130H Compass Call, the Sikorsky HH-60G Pave Hawk and the Fairchild Republic A-10 Thunderbolt II were utilized in a downed pilot scenario. 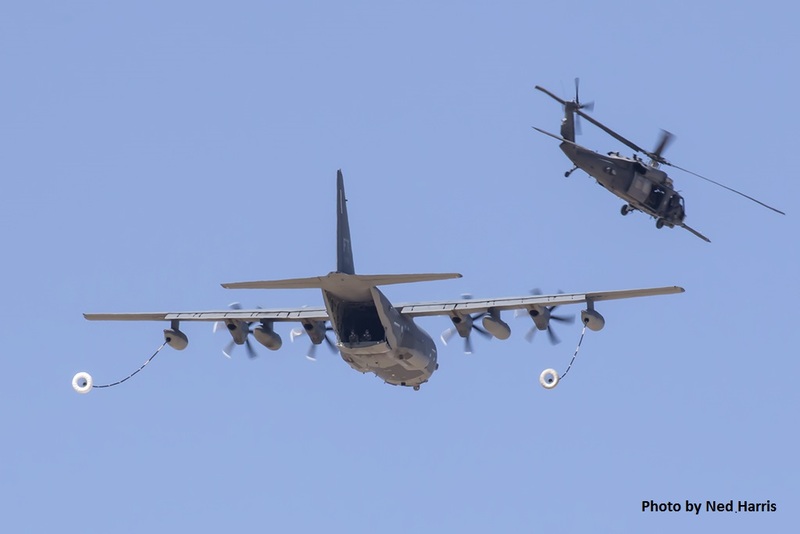 Complete with pyrotechnics and A-10’s strafing while providing close air support, the crowd was treated to a realistic simulation showing what happens during a rescue operation. 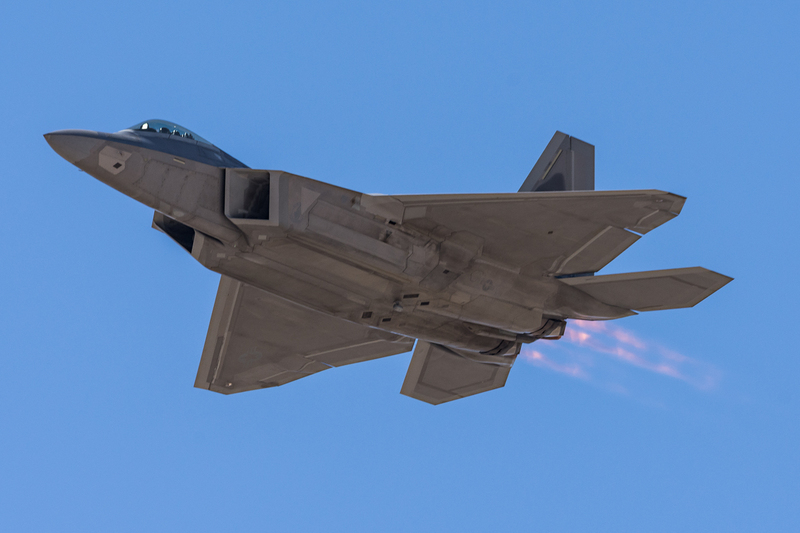 The F-22 Raptor demo is one of the most exciting aerial demonstrations that can be seen. 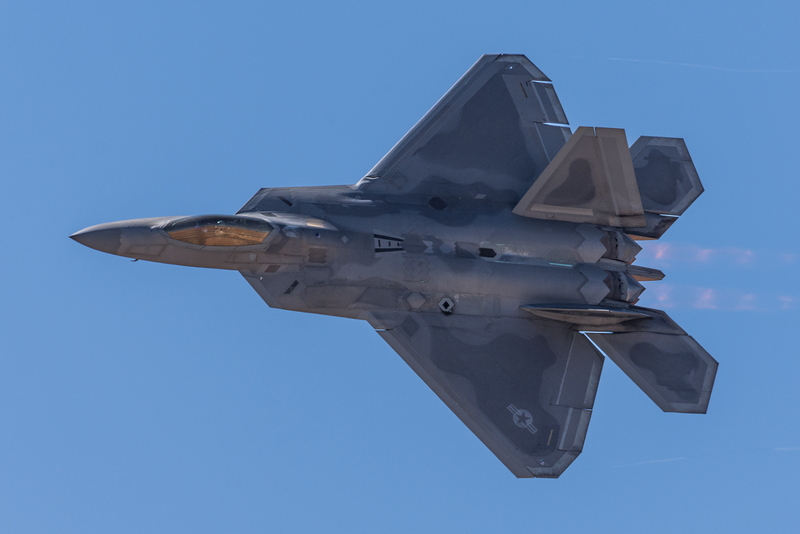 The F-22 is the USAF’s air superiority aircraft. 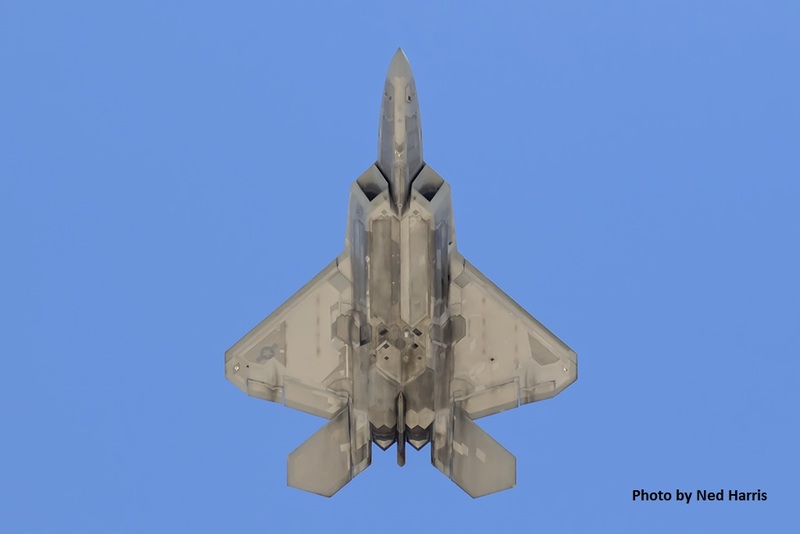 The Raptor is a 5th generation fighter with the ability to point its nose, at will, at any adversary. 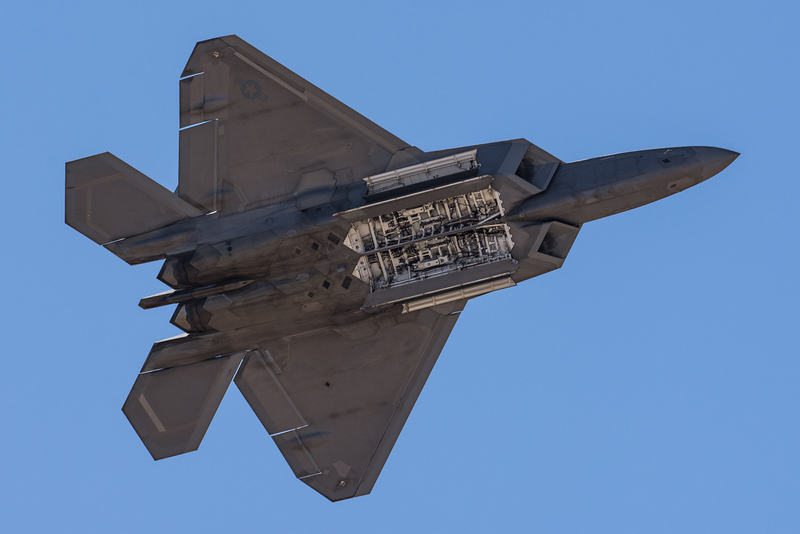 The F-22 package includes stealth, supercruise, state-of-the-art sensor capability, integrated avionics and advanced maneuverability. 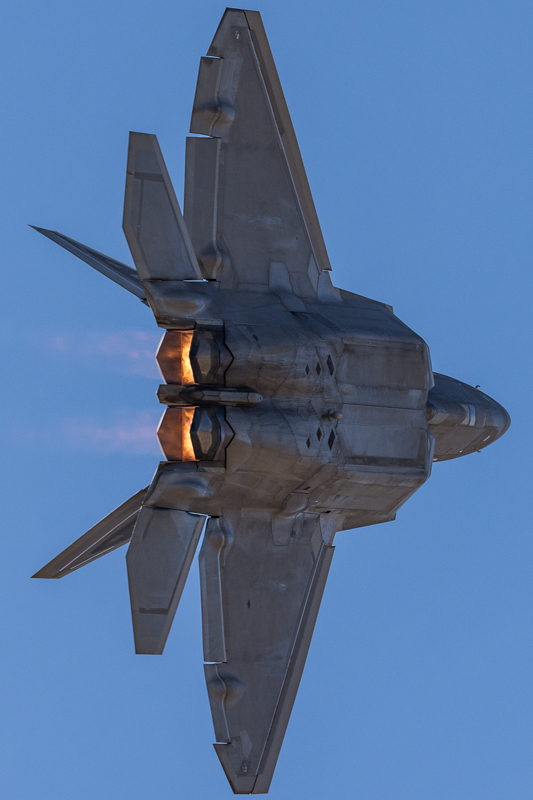 Simply put, there is no other fighter like it in the world. 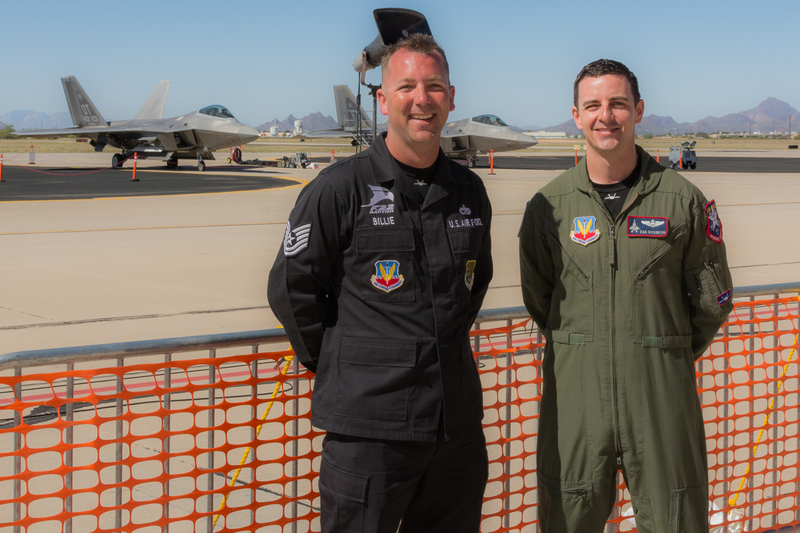 Taking over this year for the former F-22 demo pilot John “Taboo” Cummings is Maj Daniel “FFits” Dickinson who has been flying the F-22 since 2008. 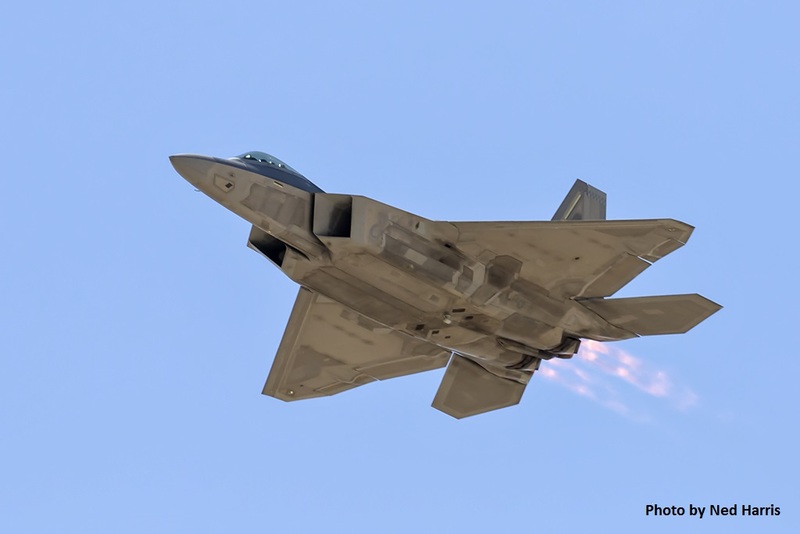 The F-22 Demo team is based at Joint Base Langley-Eustis (formerly Langley Air Force Base). 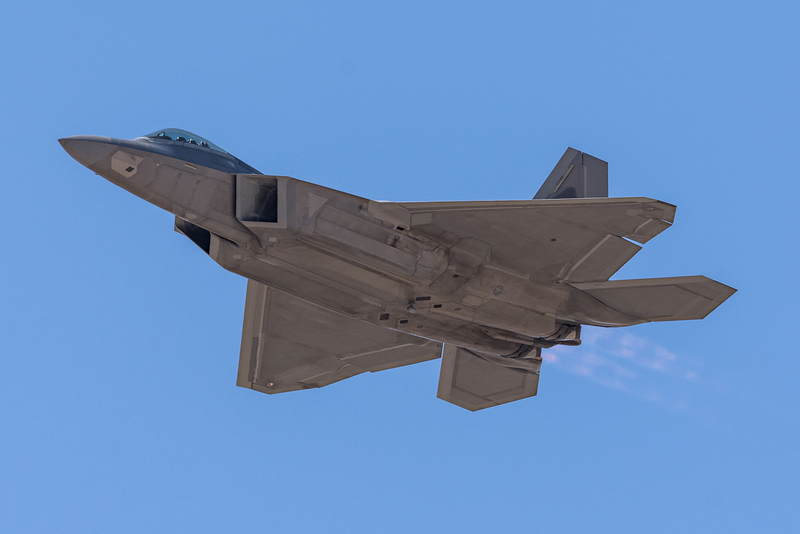 As with most aerial demonstrations, safety is important with the F-22 demo. 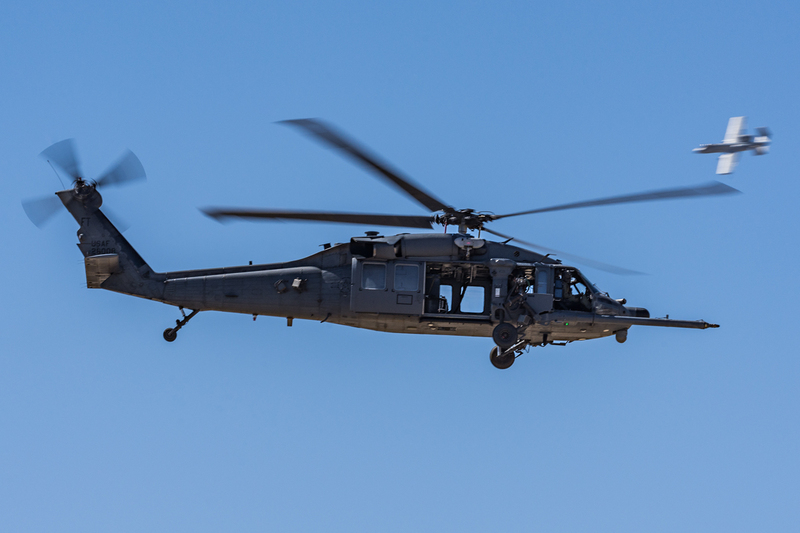 “Safety is paramount for us. 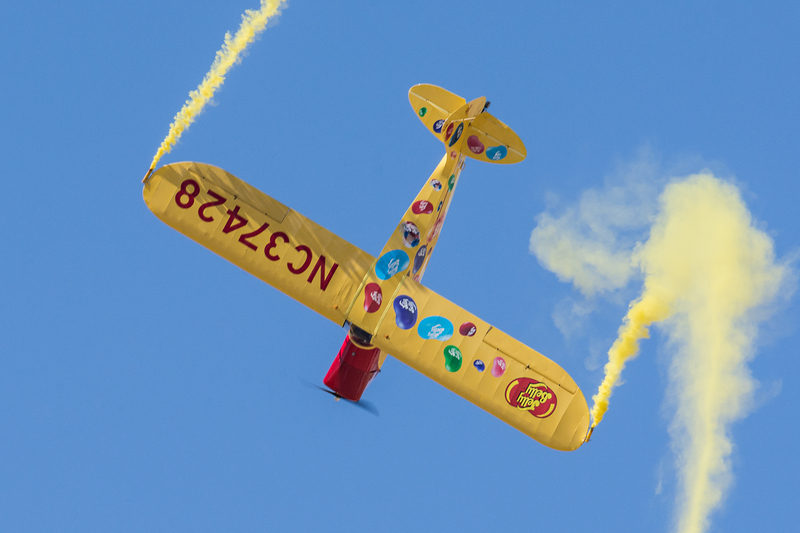 So, first and foremost, I’m spending 94 percent of my time making sure I’m hitting all my minimum altitudes and air speeds. 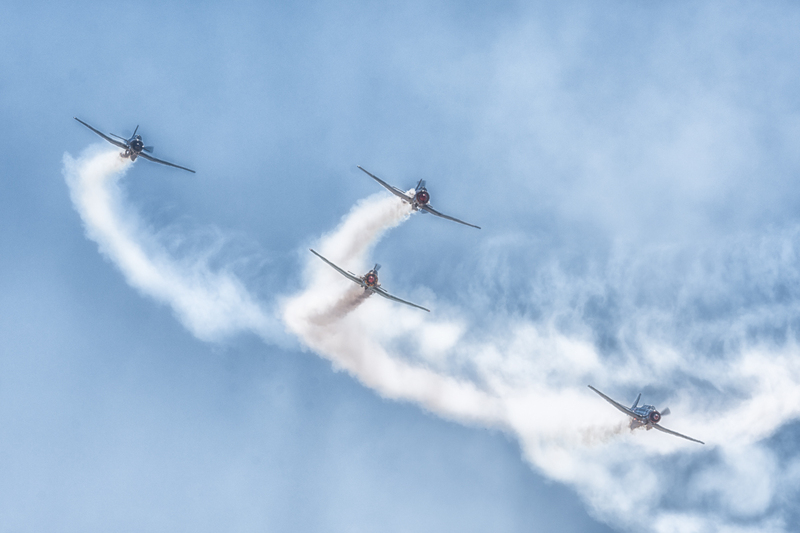 I do spend a decent amount of time looking outside, not at the crowd, but at all the different show markers. 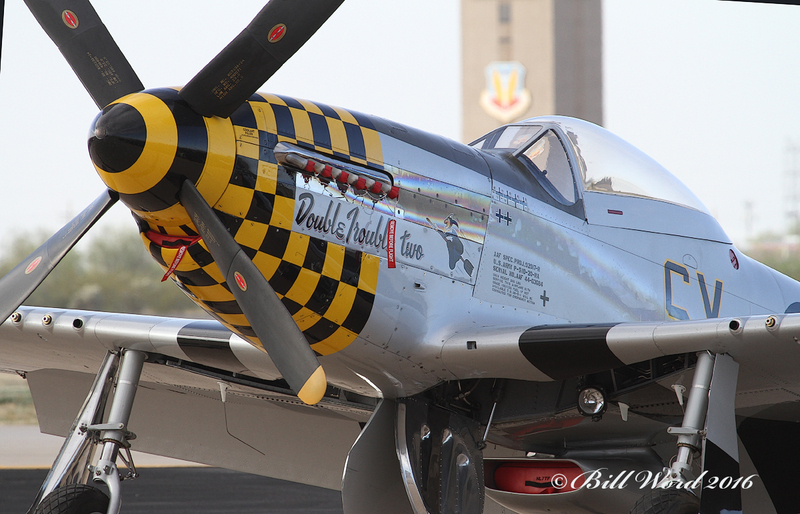 So, there’s corner markers I’m paying attention to. 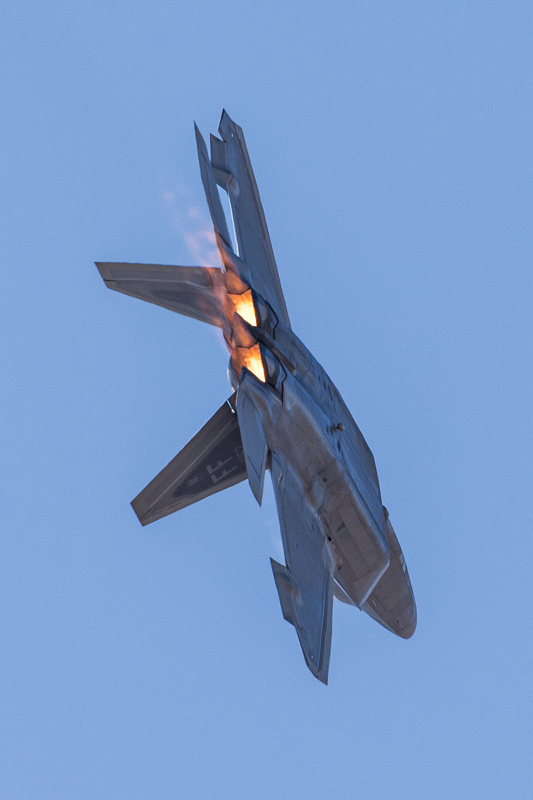 We’ve got different show lines that I’m flying on to make sure that we’re giving the most safe performance possible for the public,” Maj. Dickinson explained. 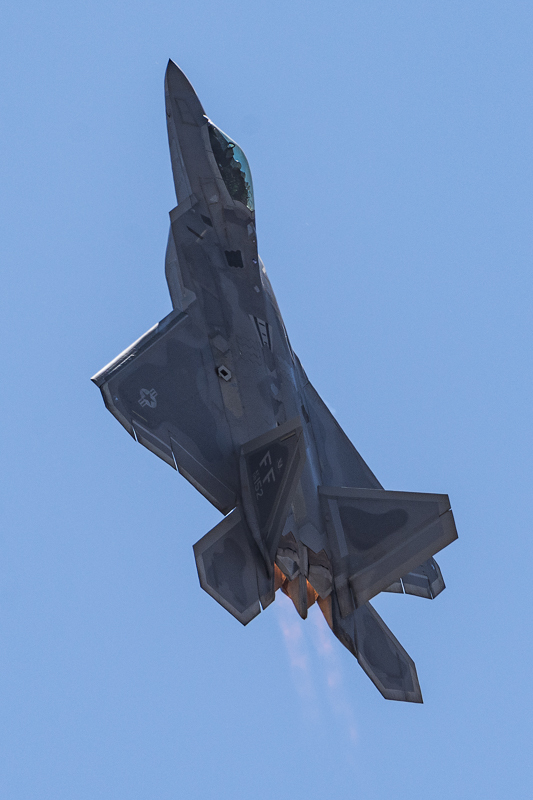 While many of the Raptor’s capabilities, such as its low observable, “stealth” capabilities cannot be displayed in a public showing, Maj Dickinson was able to show the crowd why the F-22 is the most capable fighter in the world. 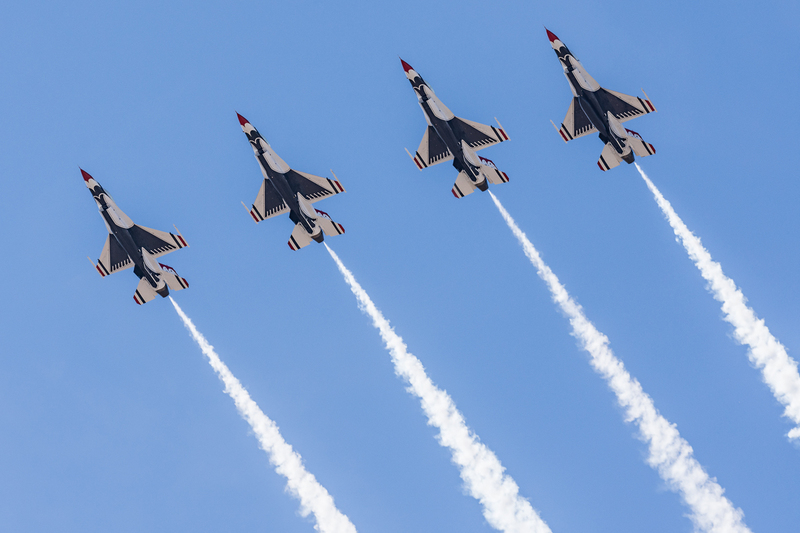 The USAF Thunderbirds have been entertaining crowds since the days of them flying the Republic F-84 Thunderjet/Thunderstreak back in 1953. 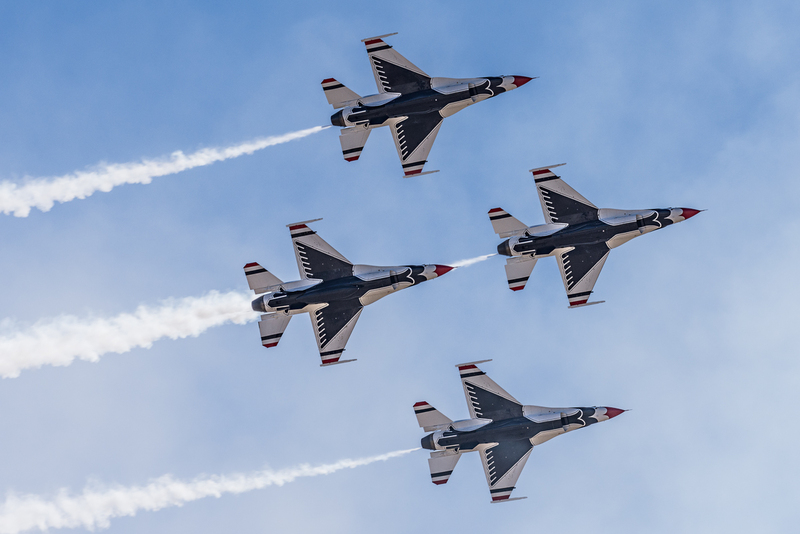 Since 1983, “America’s Ambassadors in Blue” have been flying the General Dynamics F-16 Fighting Falcon, known by some as the Viper. 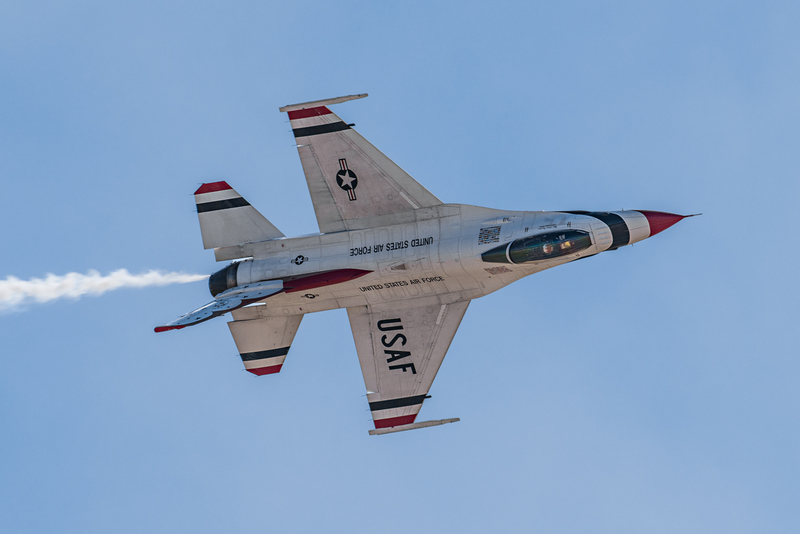 However, they do fly “block 50” F-16s with the latest in avionics and a more powerful engine than the earlier F-16 models. 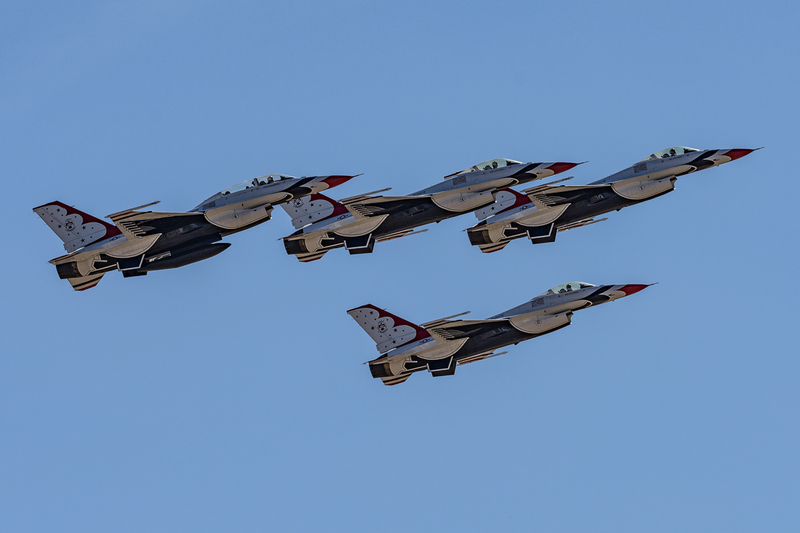 Based out of Nellis AFB in Nevada, the Thunderbirds have over 35 performances per year at air shows and open houses around the U.S.. 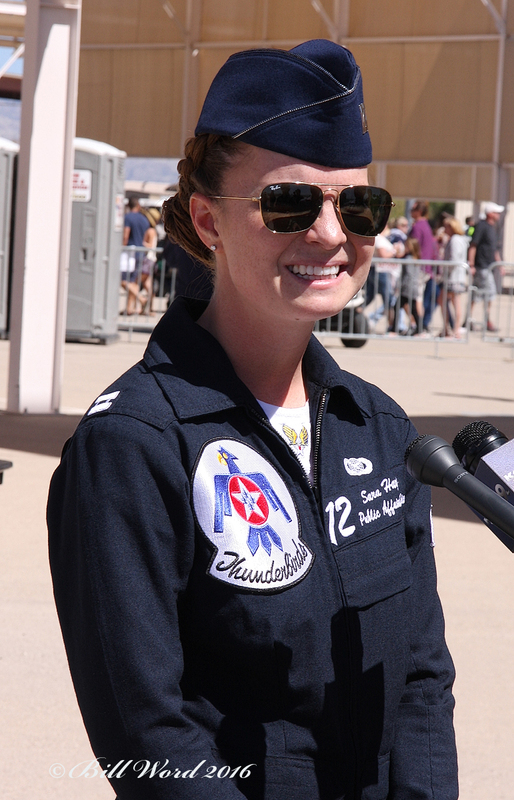 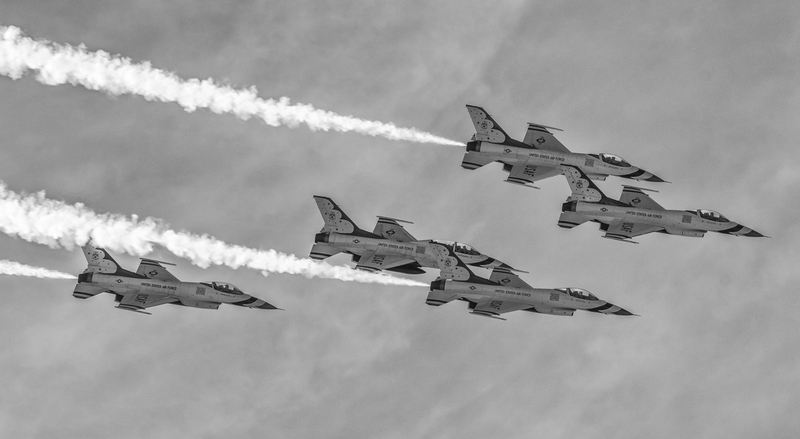 While their performance at Thunder & Lightning over Arizona 2016 was limited due to an injury to one of the pilots, the USAF Thunderbirds showed off their signature maneuvers to the crowd. 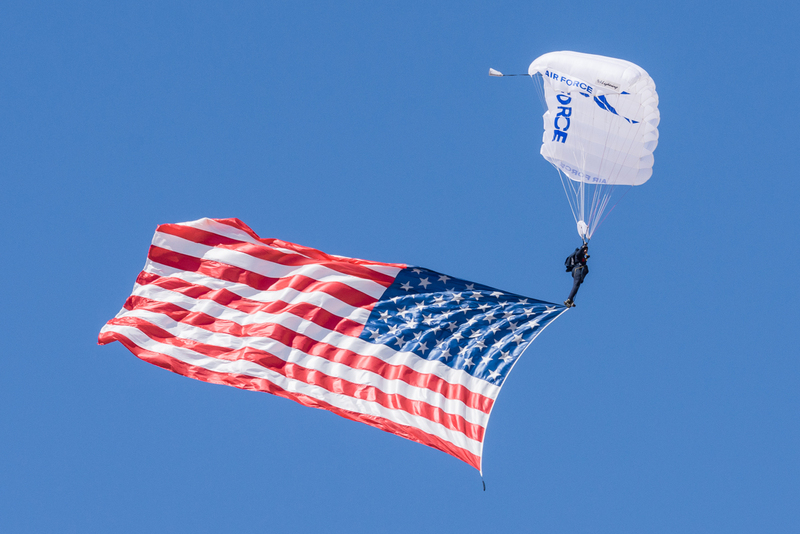 The USAF Skydiving Team “Wings of Blue” 49 year history began as a parachute club and has evolved into having a primary mission to run the Air Force’s Basic Freefall Parachuting course, known as Airmanship 490 (AM-490). 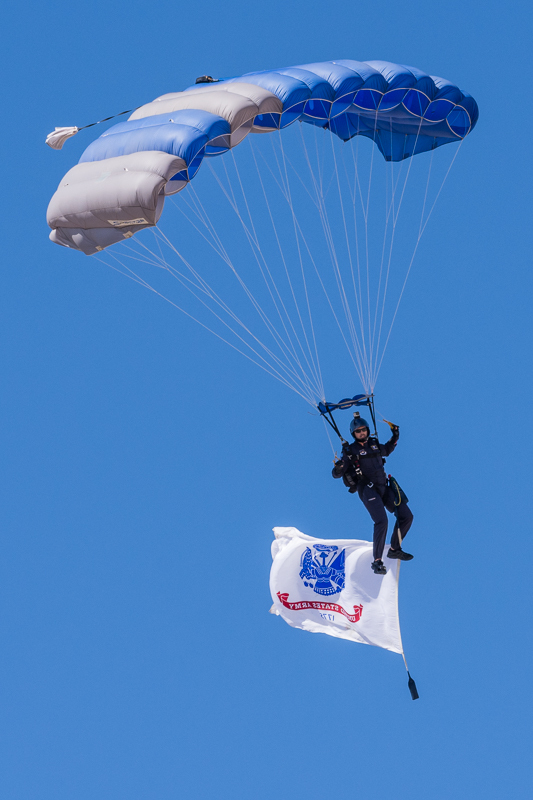 With both a demonstration team and a competition team, the Wings of Blue represent the USAF in precision parachuting. 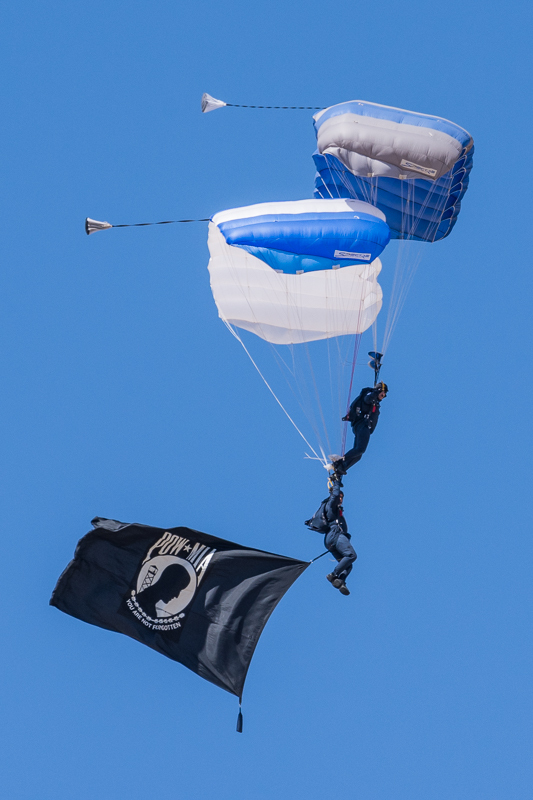 At Thunder & Lightning over Arizona 2016, Wings of Blue performed several jumps throughout the show to help keep the audience engaged. 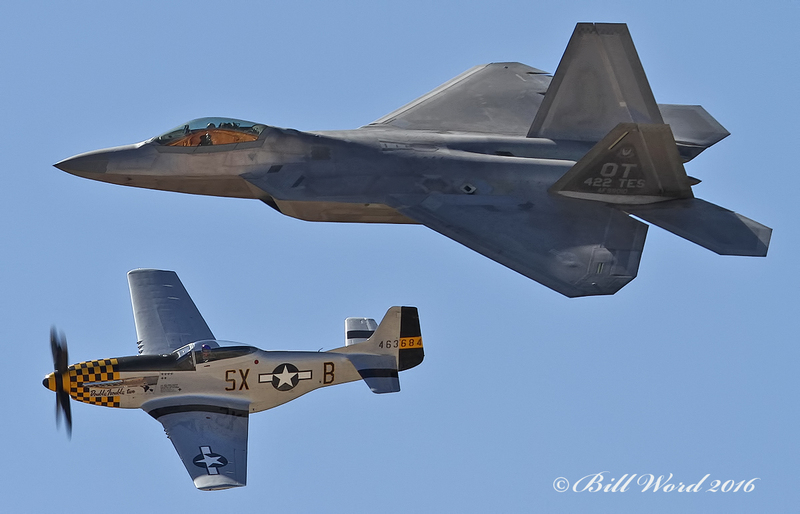 Thunder & Lightning over Arizona 2016 contain several non-military performances which added a nice balance to the lineup. 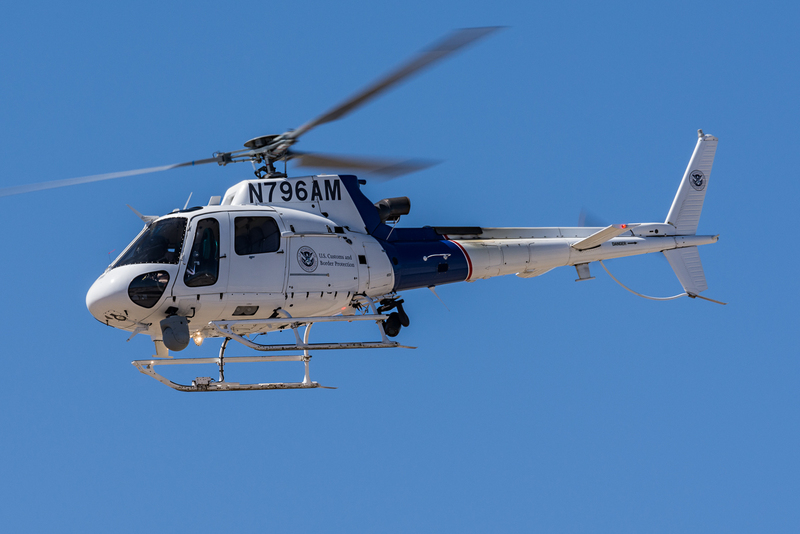 Another “house demo” that took place, but was not military-related, was the U.S. Customs and Border Protection Demo. 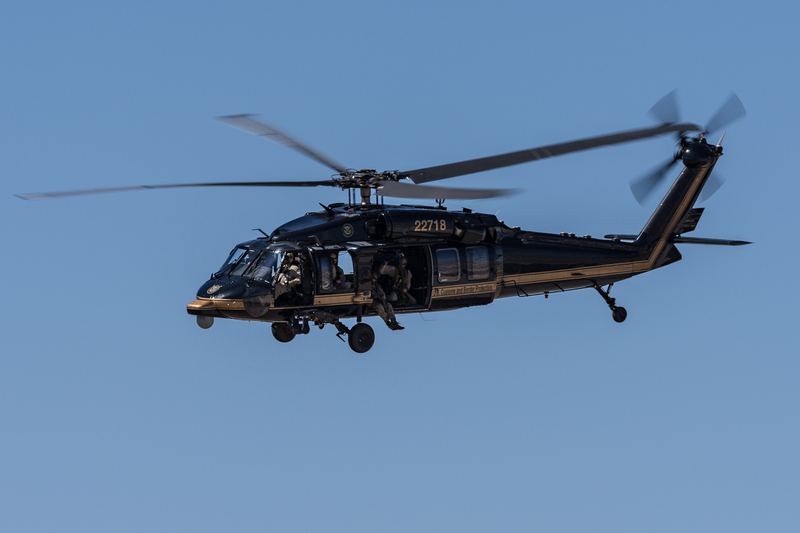 Davis-Monthan AFB is home to the largest air operations program within the U.S. Customs and Border Protection’s Office of Air and Marine. 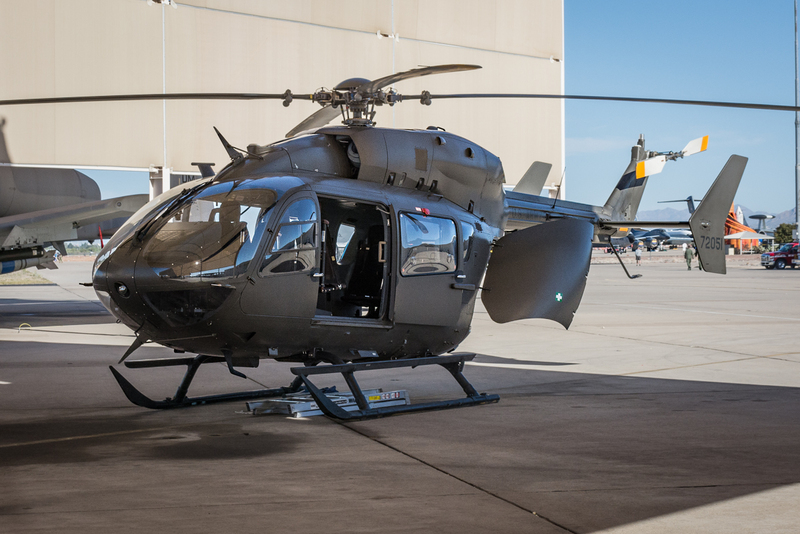 Operating several helicopters and light fixed-wing aircraft, the U.S. C/BP OAM flies almost 20% of its total flight hours out of Davis-Monthan. 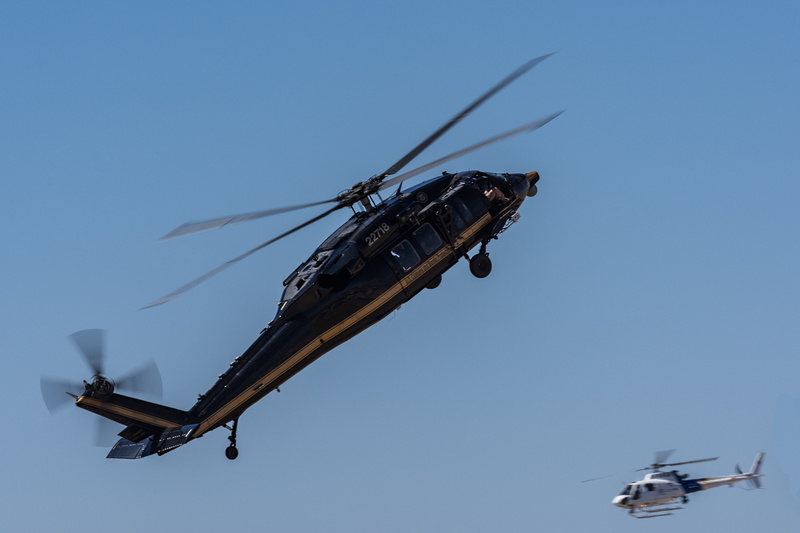 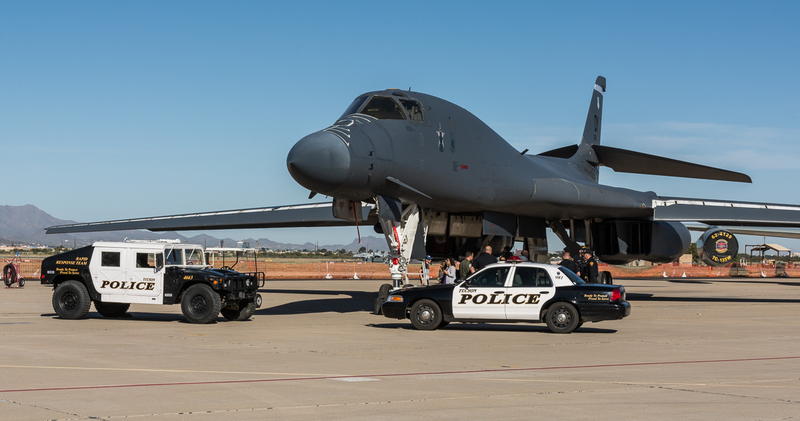 The C/BP demo at Thunder & Lightning over Arizona 2016 showed attendees how a combination of ground vehicles and air assets are used to apprehend suspects. 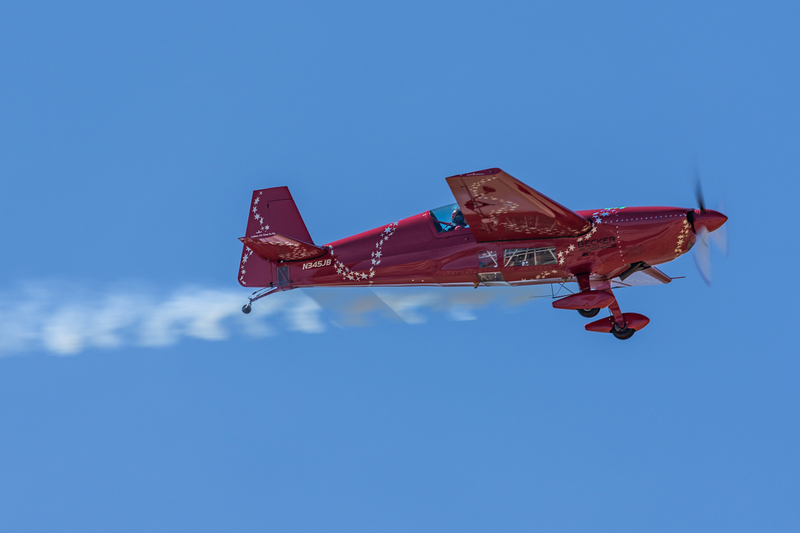 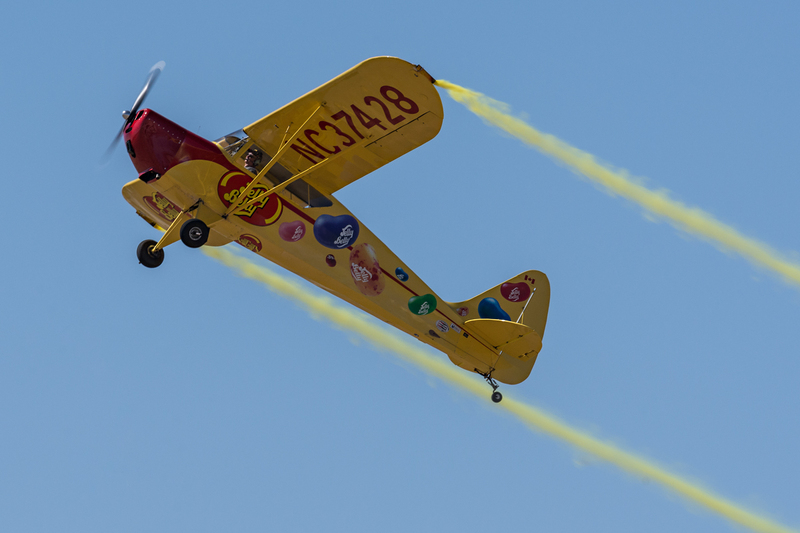 Other performances included Bill Braack’s Smoke-N-Thunder Jet Car, Kent Pietsch and his Jelly Belly aircraft, Rifle Shetterly and his Van’s RV-8, the Desert Rats Warbird Demonstration Team, Jacquie B Airshow’s Jacquie Ward in her EXTRA 300. 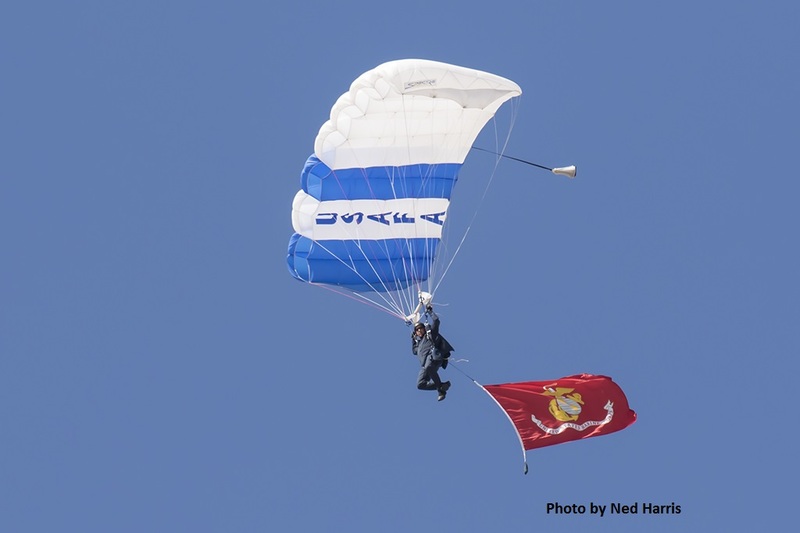 All of which kept the audience entertained throughout the open house. 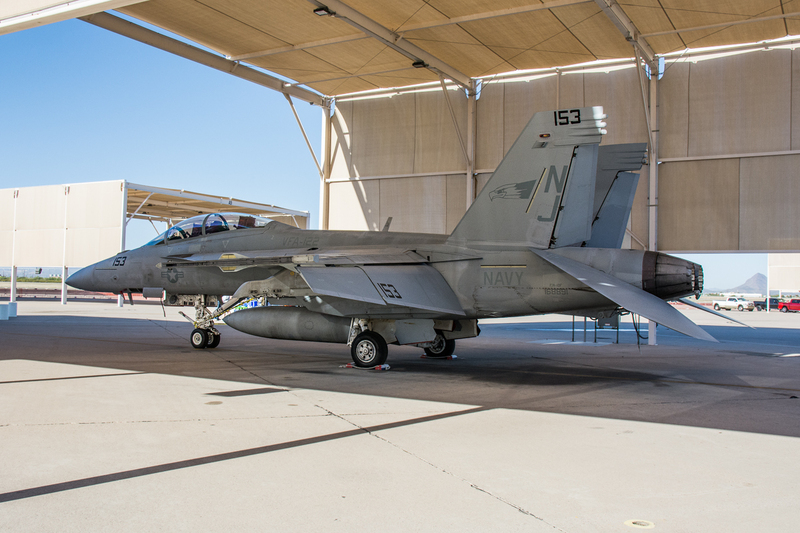 Being the headquarters of the Twelfth Air Force and being in the aviation-friendly state of Arizona has its perks. 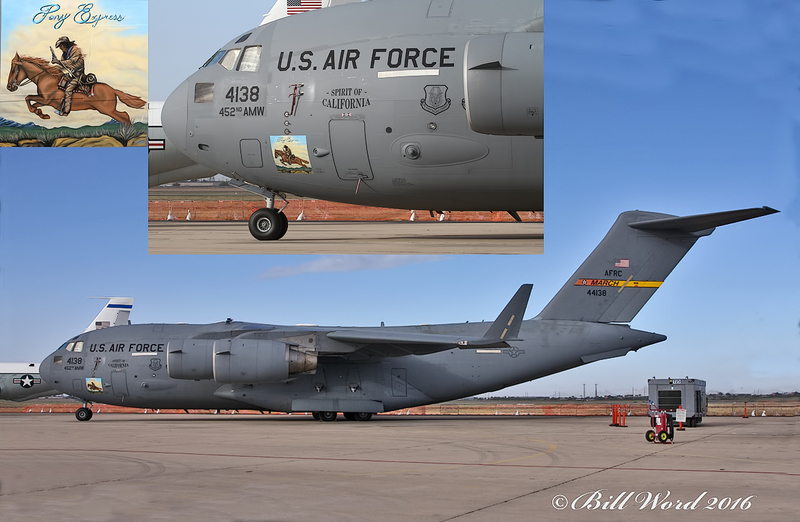 Close proximately to Pima Air & Space Museum (across the street) and being the gatekeeper to the “Boneyard” helped provide some interesting static aircraft displays. 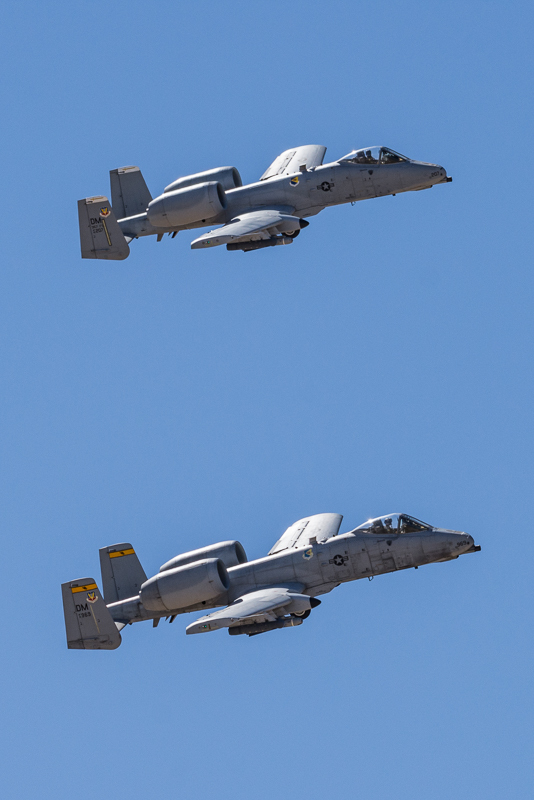 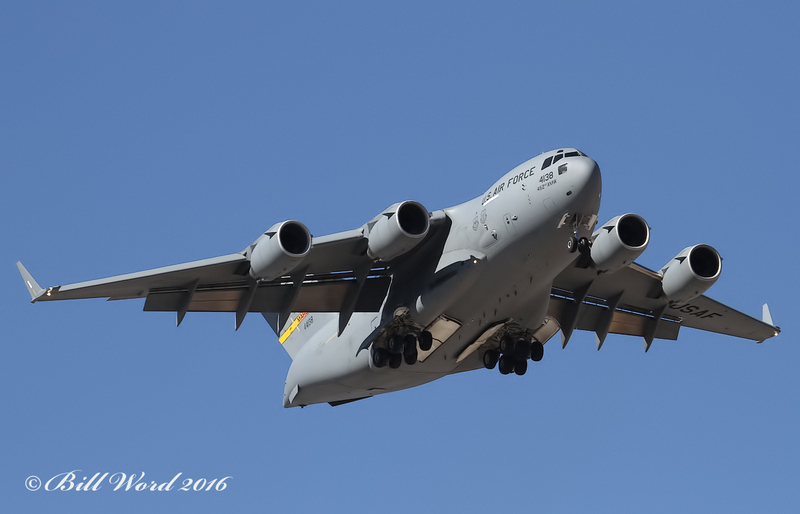 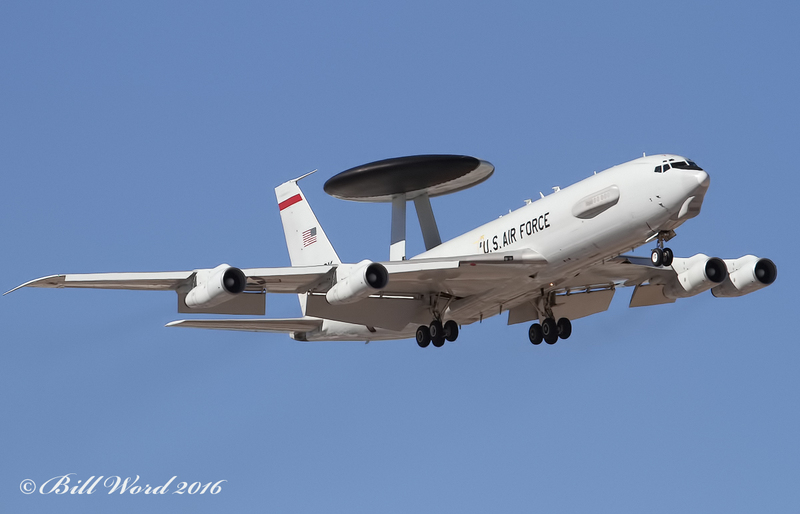 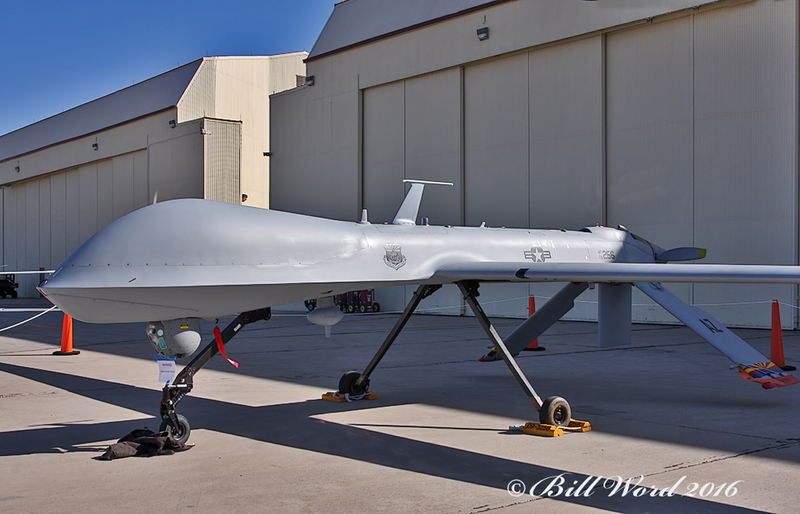 Davis-Monthan was also able to put an impressive lineup together for its open house, both with aerial performers and displays of aircraft active in the USAF. 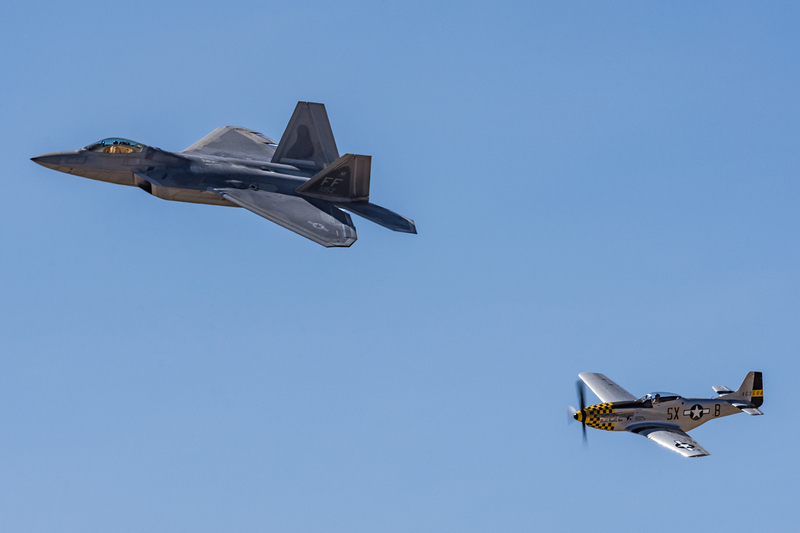 The planners of Thunder & Lightning over Arizona 2016 did an outstanding job putting together a true representation of American airpower today while providing entertainment for the thousands of attendees. 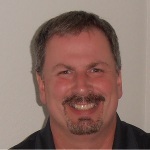 The only complaint is that one has to wait two years for the next one. 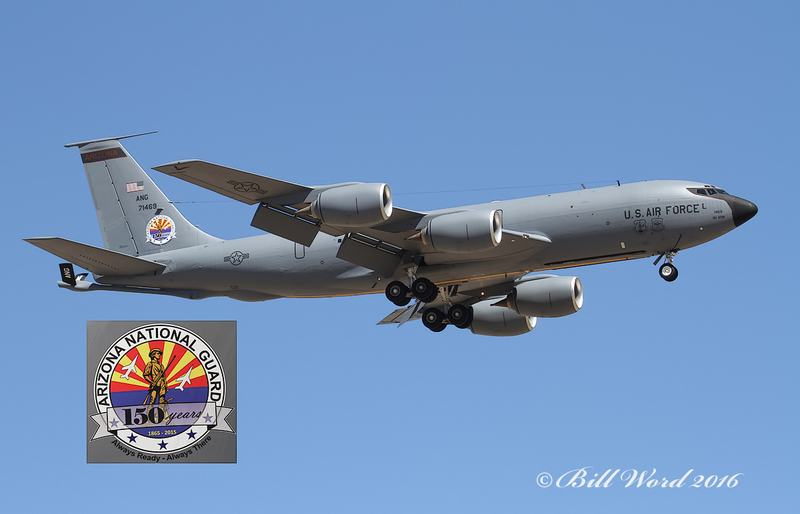 Thunder & Lightning over Arizona 2016 took place March 12 & 13, 2016.